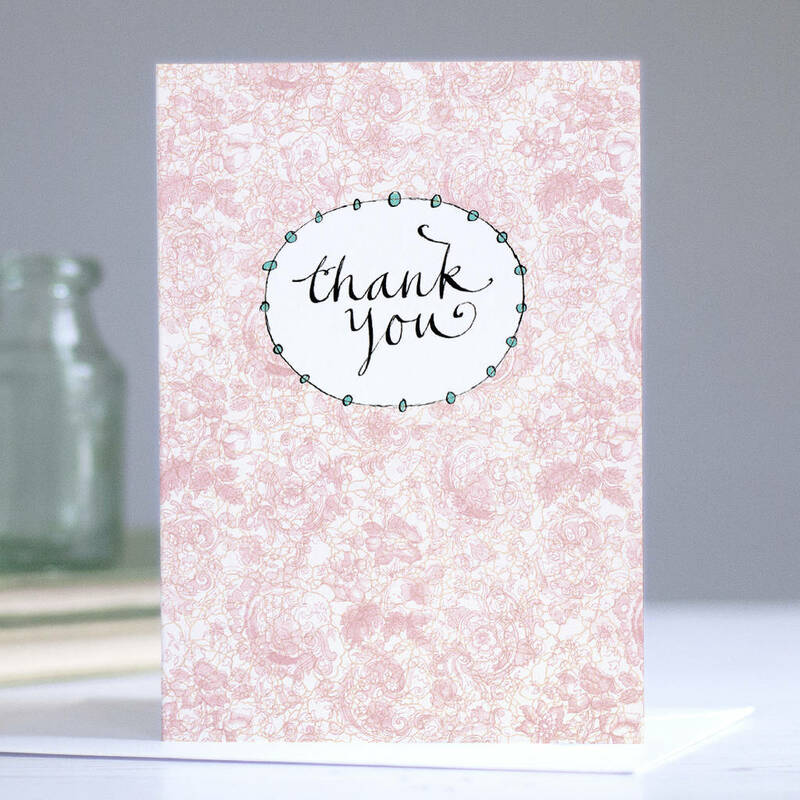 Put pen to paper and send your thanks the old fashioned way with this pretty 'Thank You' card. 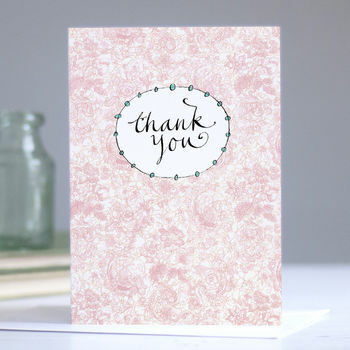 From birthday or wedding thanks this dainty card can be used for any occasion where notes of gratitude is needed. The calligraphy and border were originally drawn by hand with a dip pen and Indian ink. The background is a 1900 endpaper in a soft pink colour. 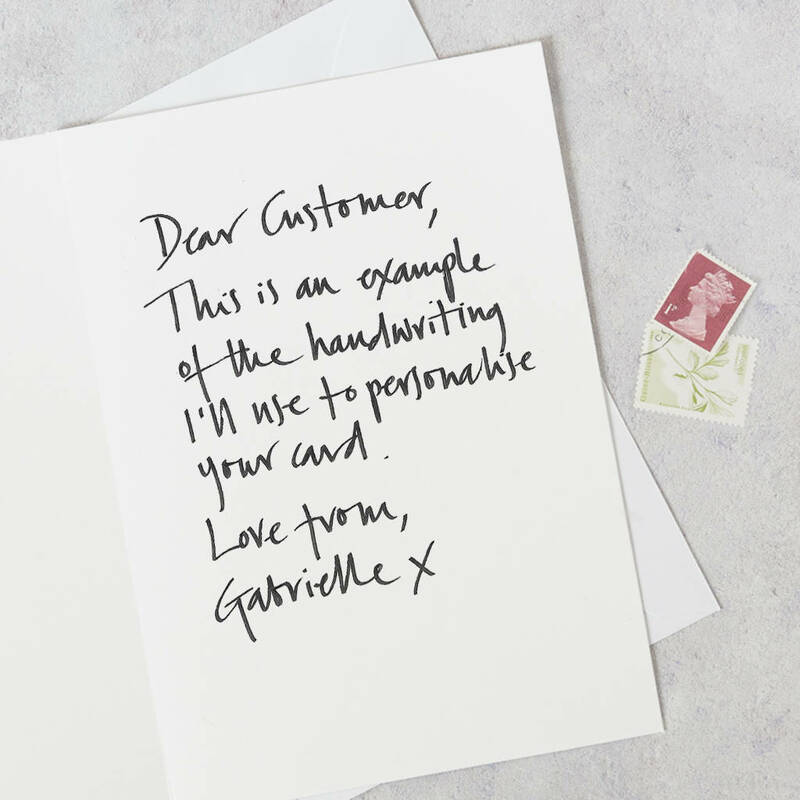 Whether you’re saying muchos gracias for wedding or birthday gifts, Christmas presents or sound advice, thanking your Mum, sister or best friend, say it with an original thank you card that’s personal and truly heartfelt. 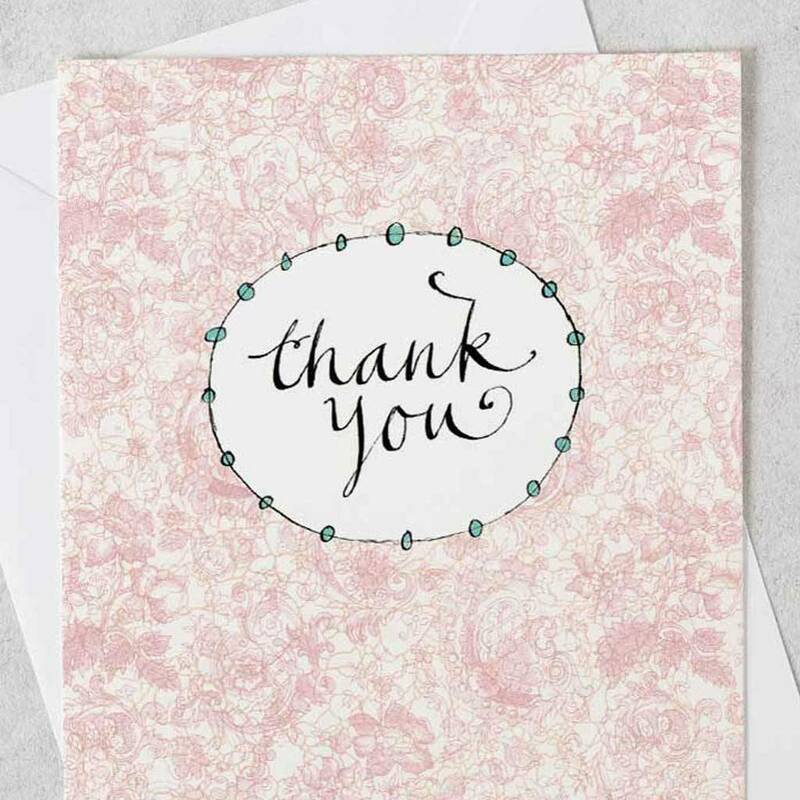 This thank you card is ideal for teenage girls, teenage boys, sister, brother, son, daughter, cousin, friends, best friends, bridesmaids, girl friends, boy friends, partner, wife, husband, mum, mummy, auntie, uncle, dad, daddy, mother in law, father in law, step mum, step dad, granny, granddad. You can now choose to personalise this card and send direct to the recipient with your own message. Perfect if you're overseas or in a hurry!